MIP Black Limited Edition Metric tools « Big Squid RC – RC Car and Truck News, Reviews, Videos, and More! 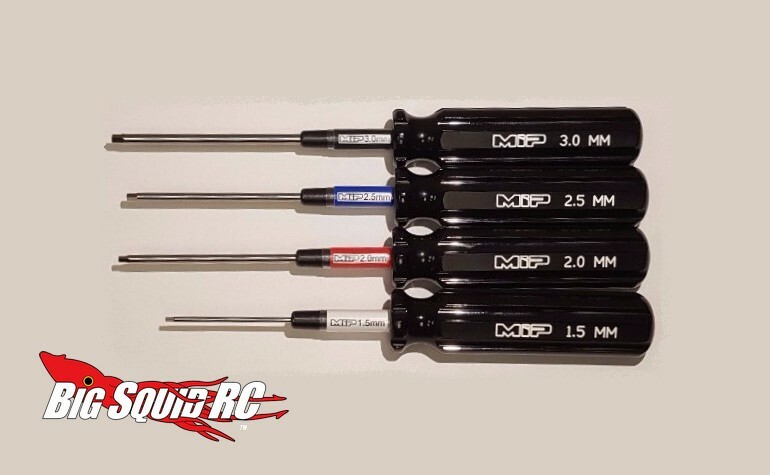 The very best tools for wrenching on an rc car come from MIP. They have the best tips, the best handles, and are known for their insane durability. To help you become the coolest guy in the pits, for a short time MIP will be offering Limited Edition Metric Tools that feature Black Handles. These will only be offered on MIP’s website and they are only taking orders through Cyber Monday (11-28). Pricing is $65 and that includes the full metric set of 1.5mm, 2.0mm, 2,5mm, & 3.0mm drivers. To get your own set on the way simply Make The Jump over to MIP’s official website. Want more MIP news? Find it Right Here on BigSquidRC.